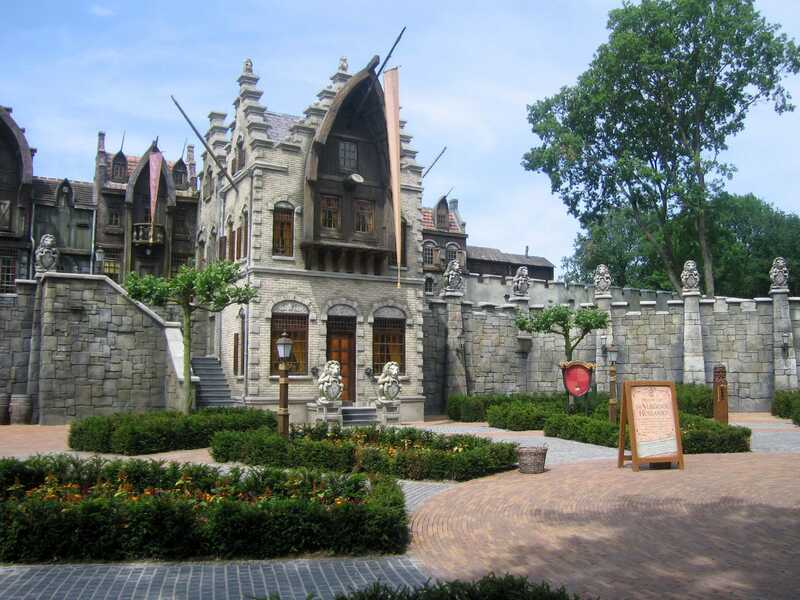 My write up of my last visit to Efteling covered most of the attractions in exhaustive detail. In the interests of not repeating myself this report will consequentially be rather short. This should not be construed as boredom on my part; far from it. Efteling is one of a very small number of parks that I could happily spend days in. It has a unique attribute in its dark rides, which despite multiple viewings never seem to get boring. My parents have expressed a desire to visit a theme park with me at some stage, and this is quite possibly the one I'll end up bringing them to. Before I begin, a brief warning, which is probably blindingly obvious to everyone who has ever visited Efteling except me. Never try to navigate this park without purchasing a map; it cannot be done. After a half an hour walk, during which we got very lost, we came across a shop selling maps for €1.50. If ever there was a sound investment, this qualifies. The new attraction for this year, the Flying Dutchman, was not open for our visit. Though videos of the ride testing have appeared on the Internet, the lake surrounding it had been partially drained, indicating that the widely reported problems with the chain mechanism are still outstanding. Be that as it may, the building and ride look seriously impressive, and provide yet another incentive, as if one were necessary, to make a return visit in the future. Since my last visit, the worst coaster in the park has been fitted with new trains, presumably in the interests of making the ride a little smoother. This they have achieved, but as with all things Vekoma, the term is relative; the ride is now only equivalent to a twenty mile per hour crash into concrete instead of a twenty file mile per hour one. Interestingly, the mechanisms on the trains for the over the shoulder restraints are totally open to the elements, compared to the usual train design employed by all other manufacturers which hide these components from view. Different, certainly, though the design looks very unfinished. There isn't a lot more to say. We went through a whirlwind tour of the major attractions, including the other three coasters and the major dark rides; all were just as good, if not better, than I remembered them. Anyone living anywhere near Efteling who hasn't been there is missing out on a major attraction their country has to offer. Get there now.